Mobile technology is everywhere. It is being used in our daily lives, and if applied properly can help improve a coach’s effectiveness and productivity. Below is a list of 20 coaching apps that I use to make my teams better and improve as a coach. Check them out and I think you will find some of them very usefull. 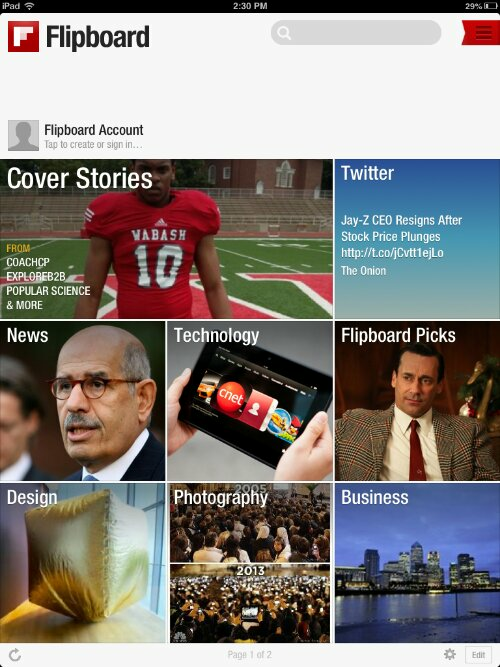 FlipBoard – Multi-Free – Information aggregation is also possible with this app. Featured image by Sean Macentee. I liked your post and found it very informative. Thank you! Thanks Peter! Glad you enjoyed the post. I like the idea that if and when I want to add an app so I can keep up with my SEC football team, I know where to go to get it. Thank you very much! The articles are awesome too. I enjoy them very much! Thank you Kmer. Glad to be helpful and thank you for the kind words.